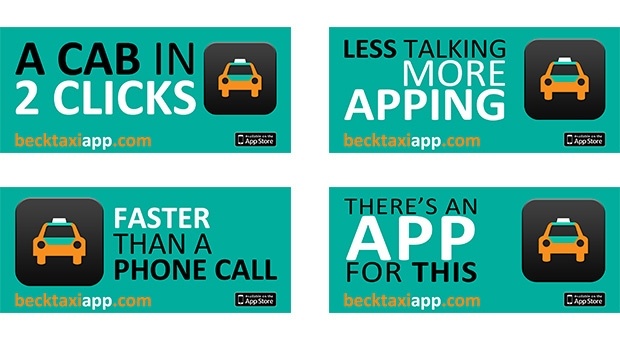 With a Driver of “Beck makes my life easier,” our team set out to create an overall interactive experience for ordering a Beck Taxi using mobile, web, and video platforms while managing all Beck communications and analytics for the campaign. 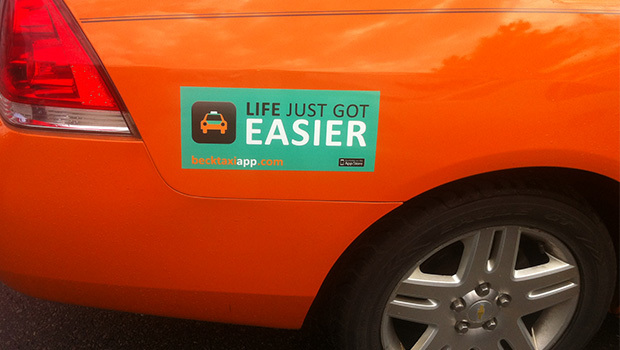 Creating an app that allowed Beck Taxi riders to order a cab in just two clicks was a process which we were involved in from conception and design all the way to completion. The app was the first of it's kind in Toronto. These are the five Gearshift designed decals that outfit the side of every cab in Beck's fleet of over 2,000.